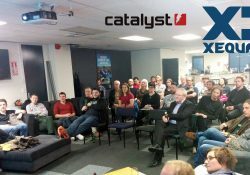 This is a special, opportunistic meetup arranged at short notice, hosted at Xequals new offices and event space on Cuba St. It is directly relevant to all Drupal stakeholders in Wellington who have anything at all to do with Government & Drupal. For those of you who didn’t know, GovCMS is the open source Drupal distribution which is now the standarised web platform for the Australian Government. 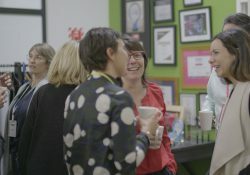 Thom Toogood, an NZer who has been central to the project, is coming to Wellington and wants to present to us on this example of government innovation using opensource, with big implications for the Australasian Drupal community. Highly recommended for anyone who works on New Zealand or Australian Government websites, or is involved in digital infrastructure and strategy. There are a limited amount of spots available so click that RSVP button! As announced in July 2018, the GovCMS (Australia) team are now working with Salsa Digital and amazee.io to build the next generation of the GovCMS hosting platform. Last Nov 2019 they migrated 102 GovCMS sites onto the new GovCMS platform (https://salsadigital.com.au/news/102-govcms-sites-live-on-next-generation-govcms-platform) and have on-boarded a lot more sites since. Thom Toogood, Platform Architect (amazee.io) & Toby Bellwood, Technical Lead (GovCMS) will provide an overview of the new platform and how GovCMS sites are developed, tested, deployed and hosted on it. Free. Limited space so please RSVP here. Wellington Drupal Meetup takes place on the first Tuesday of the month. Our presenter is Steve Hogg, an AWS Solutions Architect and DevOps Engineer. In the dark ages, he babysat Web Hosting servers running LAMP stacks, and now he’s passionate about the advantages Serverless, Event-driven architectures bring. Doors will open at 17:30, and the presentation will run from 18:00 to 19:00, and we’ll leave by 19:30. 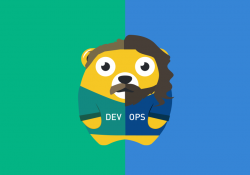 We’re all about DevOps (whatever that may mean to you), and come from a variety of backgrounds: software development, operations, management, research, hardware, ???. Anyone is welcome to join, if you’re just starting out work, still studying, or an industry veteran. DevOps concepts aren’t restrictive, so feel free to surprise us by connecting it to something new. We’ll have regular meetings in Auckland, either with a presentation, or a discussion topic. Adrian Kelly, legal counsel at IRD will present his paper “A Computer Language Model for Digitising New Zealand Statute Law”, which he will have presented in Zambia at the In-house Counsel conference. We will also have a small demo by Mike Fergsson of his smartcore-based rules engine implementation … a ‘proto-digital statute’. No expertise required, bring your questions! 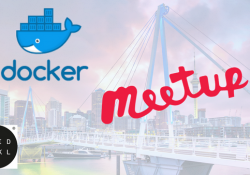 There are two venues listed for Wellington, each with its own organiser and meetup. It is possible there may be other New Zealand locations announced after this post. Globtal Azure Bootcamp events can be filtered by country and/or searched. Check out the outcome of last year’s event in this 2018 Global Azure Bootcamp Whitepaper (pdf). Event organised by Wellington Data Management and Analytics Meetup. Saturday 27 April 2019 from 9:00 AM to 4:00 PM. Unisys New Zealand, 155 The Terrace, Radio NZ House, Wellington. Meetup event (RSVP here) and Global Azure Bootcamp page. Event organised by Chinese IT Association NZ. Saturday 27 April 2019 from 9:30 AM to 3:00 PM. Intergen, 80 Willis St, Wellington. Please indicate in the meetup if you are attending. If you have said you will attend but can’t, please remove yourself from the attending list so others may attend. Global Azure Bootcamp. Twitter: @GlobaleAzure and #GlobalAzure. Wellington Data Management and Analytics Meetup. Note: There is an event in Auckland. It is full with a waiting list. Auckland Global Azure Bootcamp page and eventbrite. Organisers: Auckland Azure User Group and North Shore .NET User Group. Thomas will talk about the PostgreSQL project’s origins, open source culture, and some specific features he really likes. Thomas is a member of EnterpriseDB’s database server team and has made a number of contributions to PostgreSQL. 6pm Tuesday, 16th April 2019. Monthly meetings alternate between the 3rd Tuesday and the 3rd Thursday of each month. The following meeting will be on Thursday 16th May 2019. If you would like to be a speaker at a future meeting, please visit the web site and use the email link to make contact. We know a lot about the plants we grow but what’s hiding in between the roots and stems? Help us uncover the garden’s secrets. This 24-hour Bioblitz offers the opportunity for children and families to look into the diversity of plants and animals that live at the Wellington Botanic Garden. Scientists from around the country, Friends of the Wellington Botanic Garden and individual volunteers will help analyse the secrets of the garden. The results of the Bioblitz will be made publicly available. We’re in a race to snapshot as many different species in the Botanic Garden as we can within 24-hours. As a super science sleuth, you’ll use iNaturalist, the latest mobile phone technology so that you can make solo discoveries. If you prefer to work in a team, our field trips will give you the upper hand with an expert leading the pack. 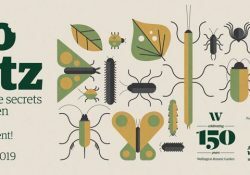 Join our special 150th anniversary BioBlitz and help us discover what’s really living and growing in the garden in 2019. 2.25pm Opening Ceremony at Soundshell Lawn. 3pm – 7pm: Official start and public picnic at Soundshell Lawn. 3pm – 8pm: Bioblitz HQ is open at Treehouse Visitor Centre. 8.30am – 3.15pm: Bioblitz HQ is open at Treehouse Visitor Centre. 11am-3pm: Video Booth at Treehouse Visitor Centre Carpark. 10am – 11am: Bioblitz Guided Walk: Tiny plants that are everywhere. 12.30pm – 1:45pm: Bioblitz Guided Walk: From ground level to tree tops. 1.45pm – 2:45pm : Bioblitz Guided Walk: The Wonderful World of Weeds. Bookings are required for free guided walks. Book your spot on a FREE tour by clicking on the guided walk links in the public programme above. You may participate in the Bioblitz without joining the walks. You need to have a smartphone with camera and ability to upload photos and information using the iNaturalist app. This is the only walk sold out when this page was created. A guided walk called “Glow in the dark titiwai tours – New Zealand glow worms” is also by Wellington’s Botanic Gardens on other Fridays. $6 per person and Free for children under 12. Eventfinda event with dates and tickets. With job losses to AI predicted in the millions, coding is one skill that looks futureproof. How much do you need to know to stay relevant and add value to teams and projects working with code-driven innovations? Come and have a peek into the ‘black box’ and hear from our expert panellists who share insight and answer any questions. With conflicting information from the experts leaving plenty of room for debate around what impact​ technologies will have, ​​now’s the time to start the conversation about how we are going to adjust our social and economic structures in light of this new reality. This group is for those who share an optimism for the opportunities technology presents while appreciating the need for debate, discussion and boldness as we approach huge societal change. Never before has there been such an opportunity to recast the social contract, to eliminate poverty, cure diseases and have fulfilling lives spent doing what we want to be doing. It’s in our hands whether we make this the greatest thing that humans have ever done or history’s biggest missed opportunity. 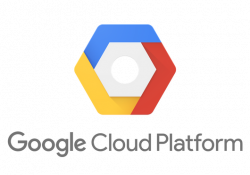 This is the monthly Google Cloud Auckland meetup and this month we will be focusing on a run through of the announcements and updates from the Google Next’19 annual GCP global conference. To join like minded souls in exploring and use of the Google Cloud platform. This is not Google, but architects, developers, data scientists, technologists, business leaders wanting to share experinces and knowledge around Google Cloud. The role of digital platforms in helping students achieve skills and qualifications that are industry relevant. Join us and be part of a conversation around how; the gap between education and employment leads to a gap between employee and employer expectations. Emerging digital technologies such as smart classrooms and online tools look to ensure scale and deeper outreach to integrate education and skill based programmes. Is the scale of the youth-unemployment problem in New Zealand a result of lack of jobs, lack of skills, or lack of coordination? What are the obstacles that youth face on their journey from education to employment? 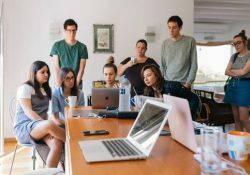 Which groups of youth and employers in New Zealand are struggling the most, and what’s the role of the private sector, education and tools in combating this ? What can be done to address the problem? Arrive early for a 4pm sharp start!